United Pipe Clubs of America | Chicago's Pipe, Cigar & Tobacco Store | Iwan Ries & Co. 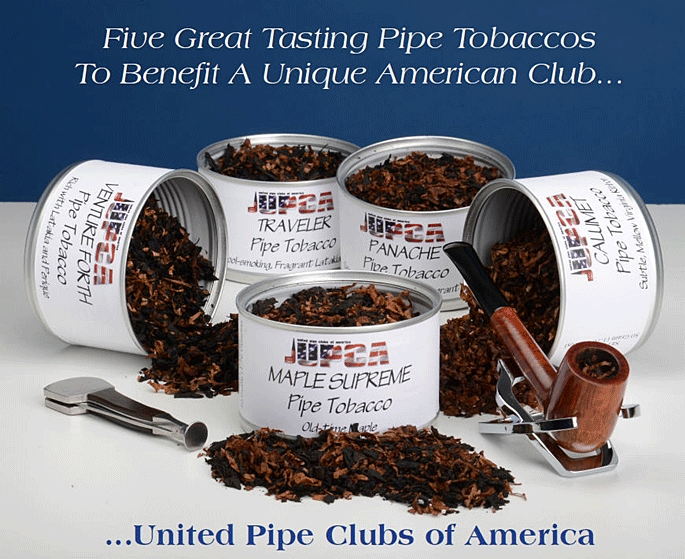 The United Pipe Clubs of America (UPCA) was organized in 2002 as a national federation of pipe clubs in the United States. Its purpose is to promote and protect the interests of the American pipe smoking community by encouraging and assisting in the formation of local pipe clubs and actively supporting their activities, including pipe shows and pipe smoking competitions. The original impetus for the formation of UPCA was a desire to bring the United States into the International Committee of Pipe Clubs (ICPC) and to organize slow smoking competitions in this country . It thus organizes the U.S. National Championship at the Chicago Show each year, as well as regional competitions. While sponsorship of such events will continue to be an important activity for UPCA, it has become clear that they are not sufficient in this era of ever-stricter restrictions on smoking. UPCA has recognized that in order to remain relevant and provide benefit to its member clubs in the current hostile environment, it must play a greater role in defending the traditions and culture of pipe smoking, pipe clubs and pipe shows. Consistent with the purposes set forth in its charter, UPCA therefore is taking steps (including the revitalization and expansion of this website) to establish itself as the voice of the American pipe-smoking community. The idea is simple: Faced with unreasonable smoking bans, pipe smokers must come together to promote and protect their interests. There is a need to present a positive image of pipe smoking to influence the public and to maintain our own enthusiasm for the hobby. As a federation of 20 or more pipe clubs around the country, UPCA is well positioned for this mission. In short, UPCA's primary purpose is to bring pipe smokers together and to protect and promote the interests of its member clubs and all pipe smokers. We seek your help in that regard and invite you to tell us what we can do to be of maximum assistance.